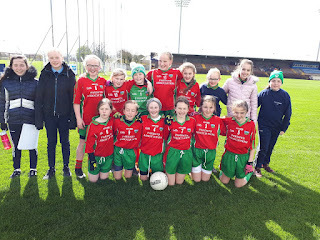 Well done to our 5th & 6th class girls who competed in the Spar FAI Primary School's 5 a side, on Wednesday 3rd April. 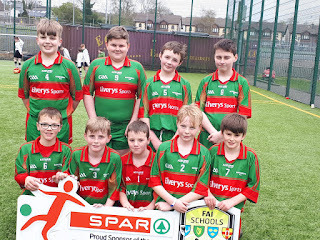 The girls did very well, and qualified for the final on the day, where they lost 3-1 to Piltown. Our mini 7's girls football team were in Fraher field on Tuesday April 2nd for the county final against Coolnasmear. They had a fantastic first half but unfortunately bad weather conditions in the second half held them back. Unfortunately they lost the game. We are all extremely proud of the girls and their fantastic achievements in football this year. 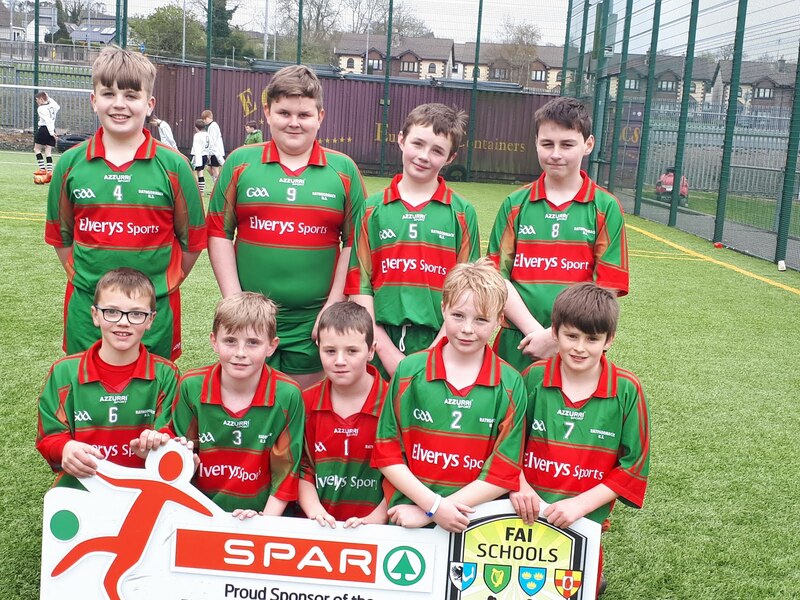 Our 5th and 6th Class boys took part in the FAI soccer tournament in Ferrybank on Monday April 1st. The boys had a great day and played very well against tough opponents. Well done boys!! Irish Dancing Winners in Limerick. Congratulations to Annie, Fiona, Caitlín, Amy & Niamh who all won trophies for Irish Dancing at the week-end. Well done girls.